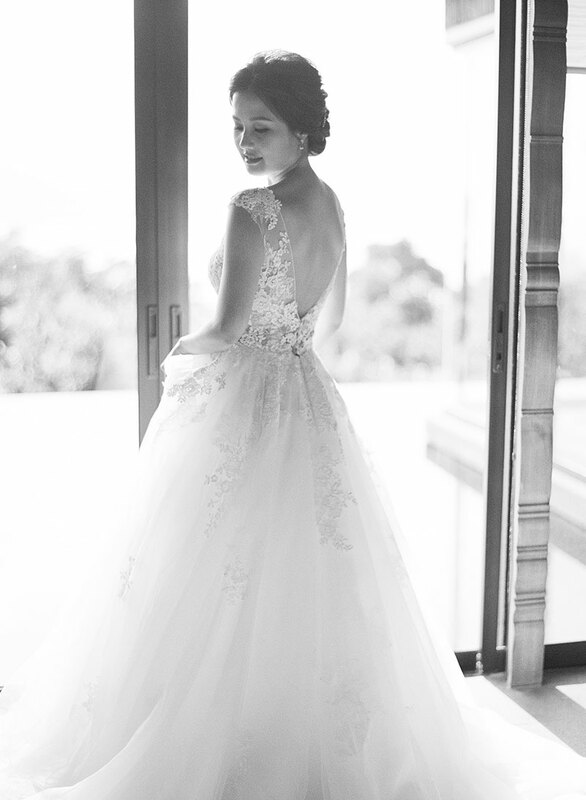 Words escape me. 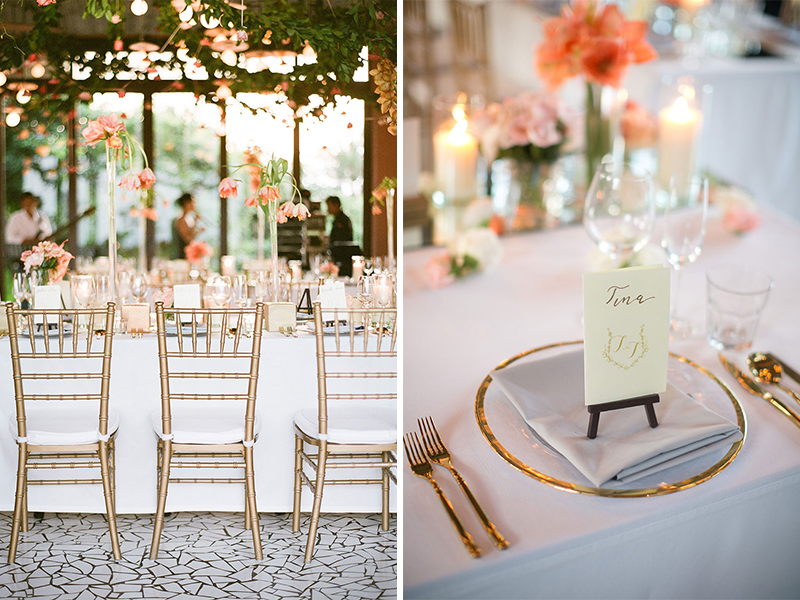 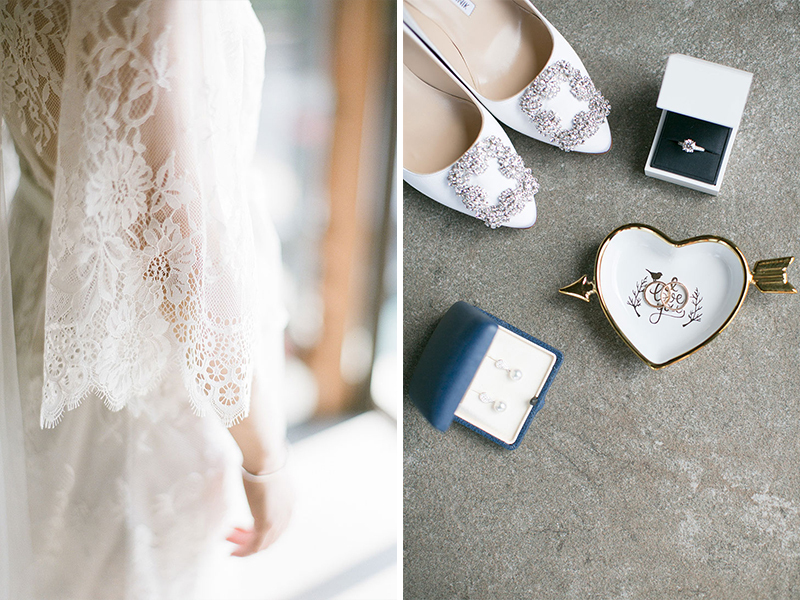 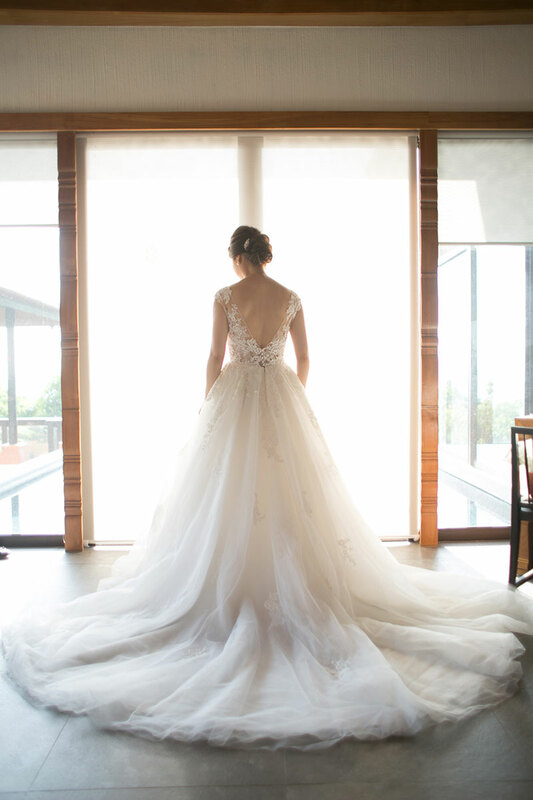 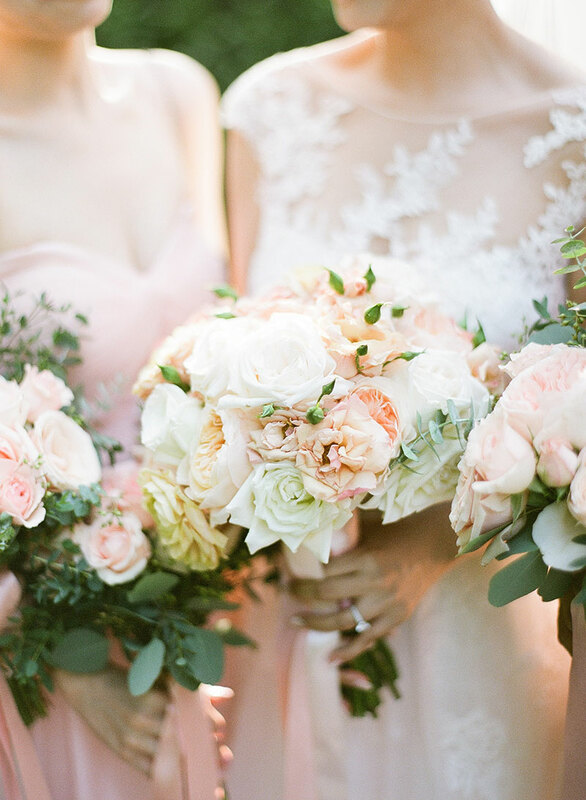 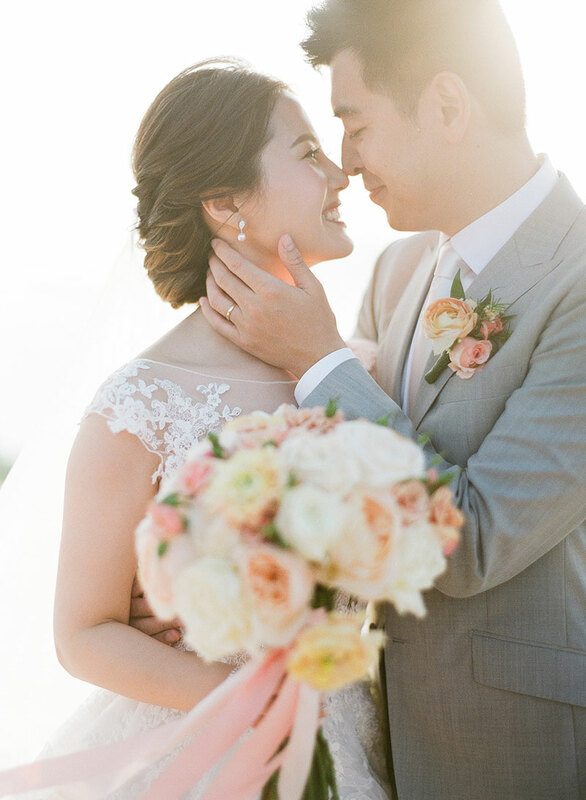 This wedding is just too beautiful for words! 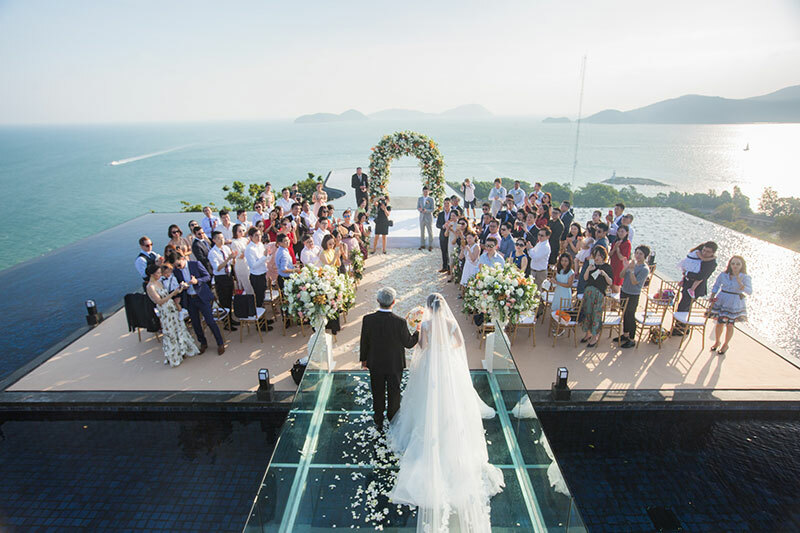 Tina and Tao’s wedding has a view like no other. 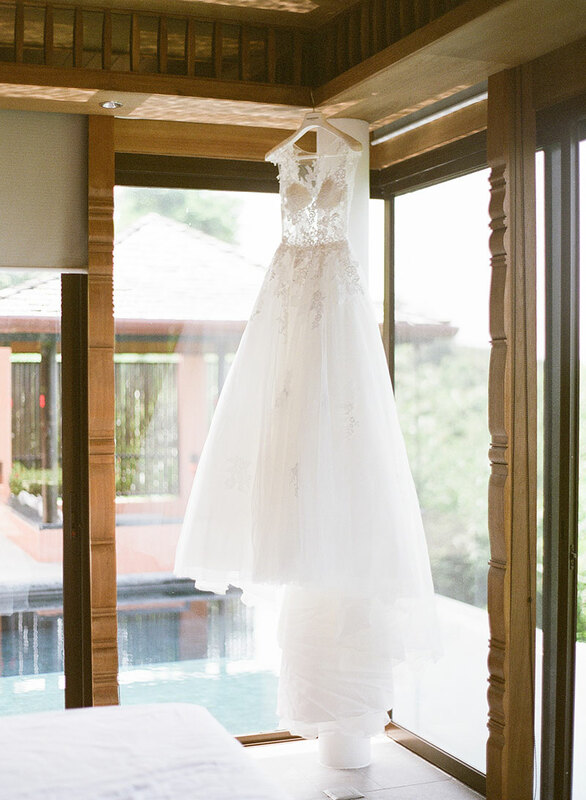 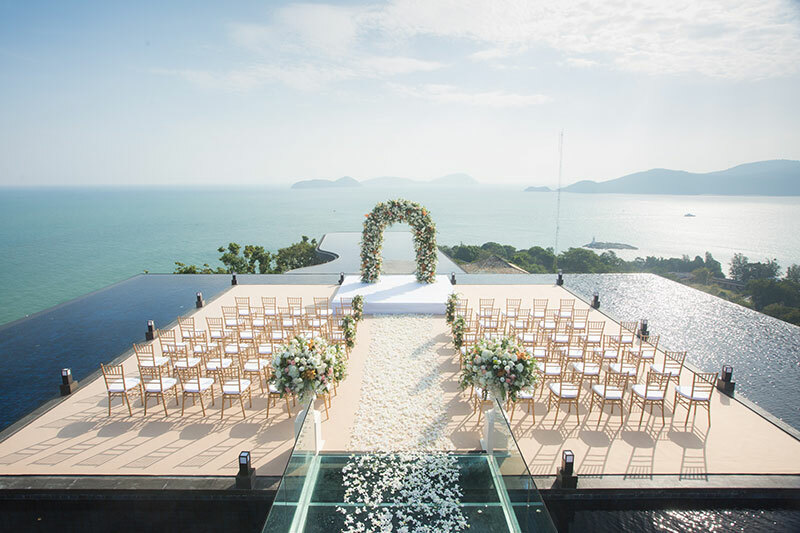 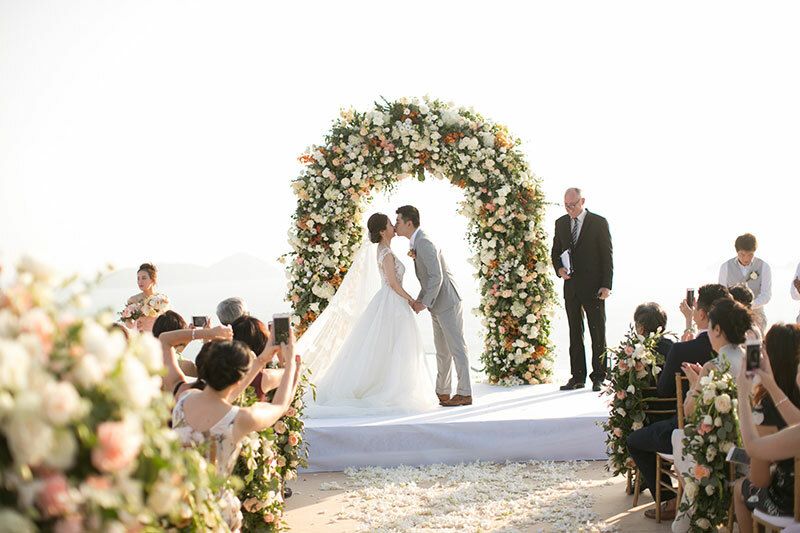 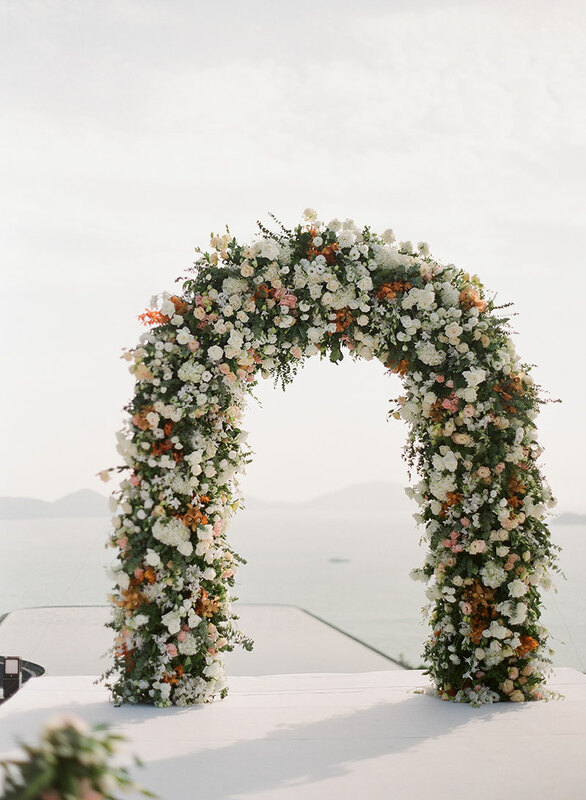 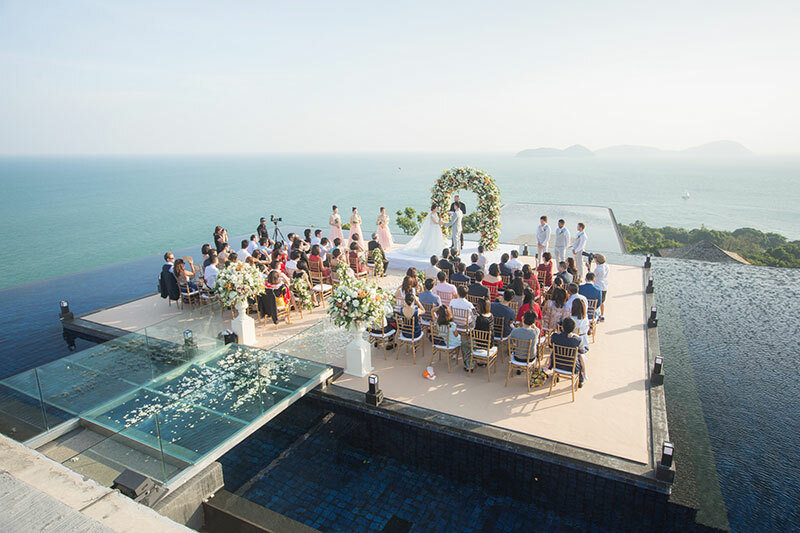 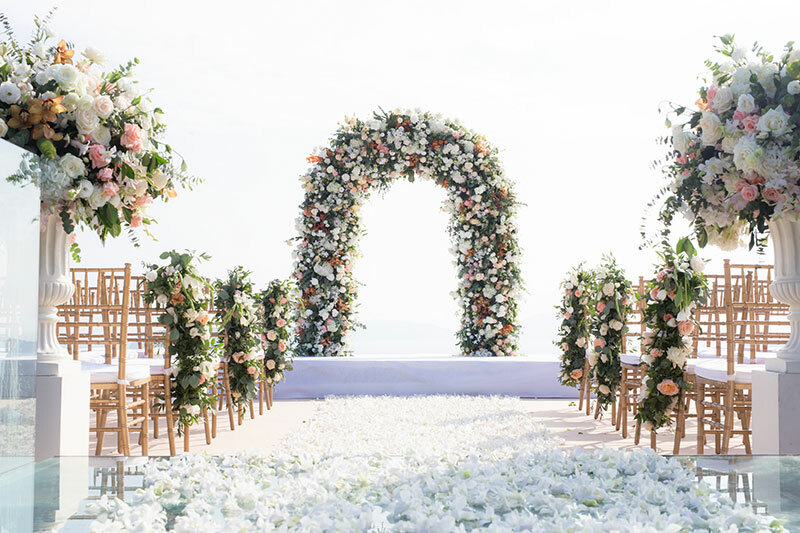 The ceremony took place on an infinity pool atop a cliff that overlooks the sea. 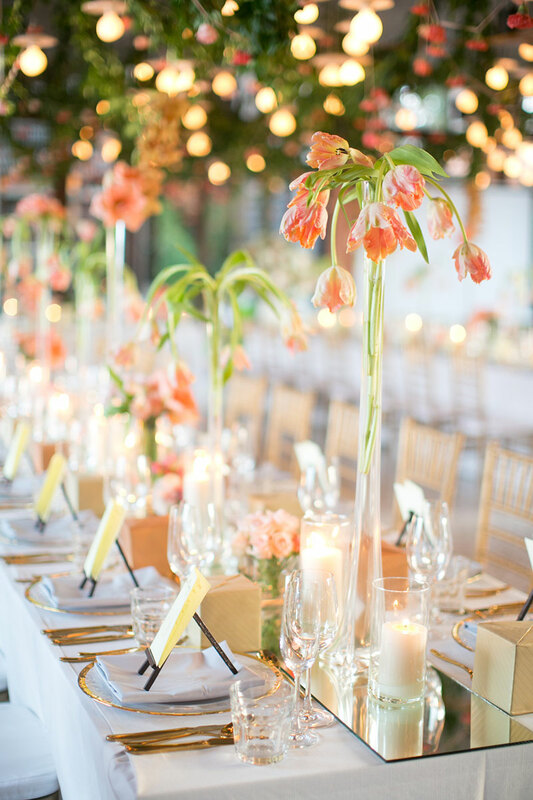 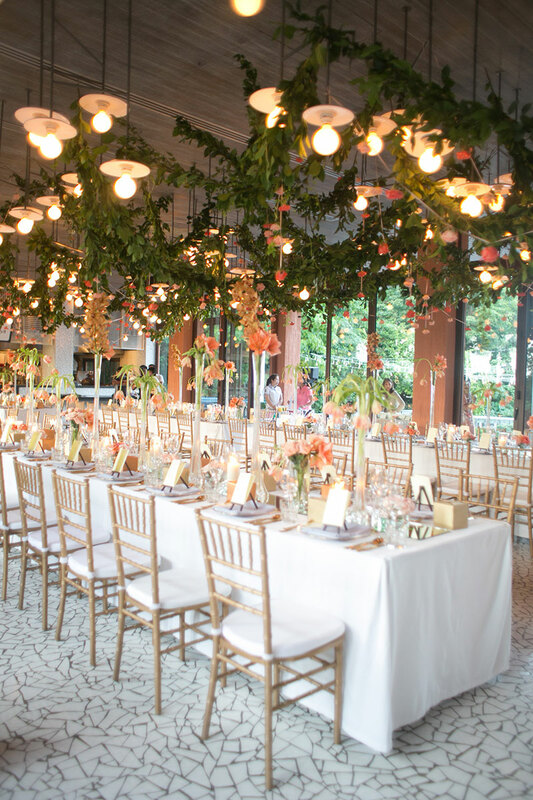 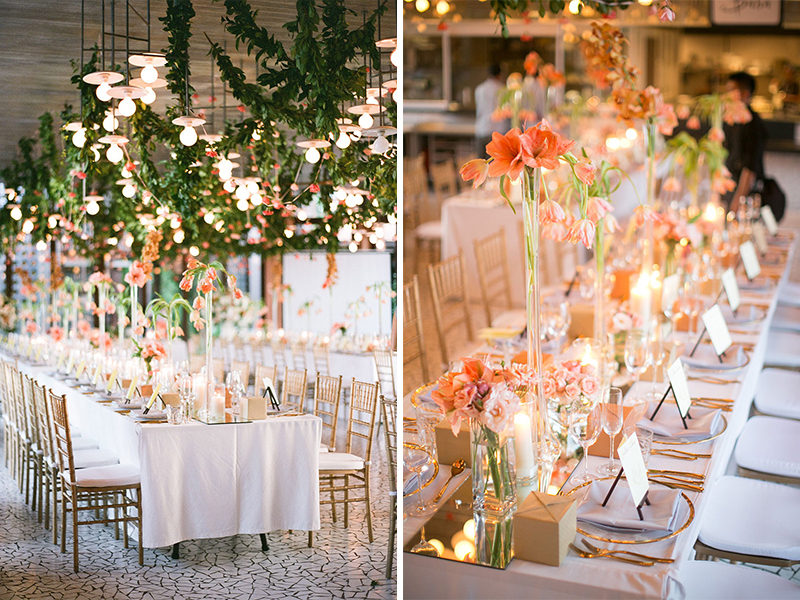 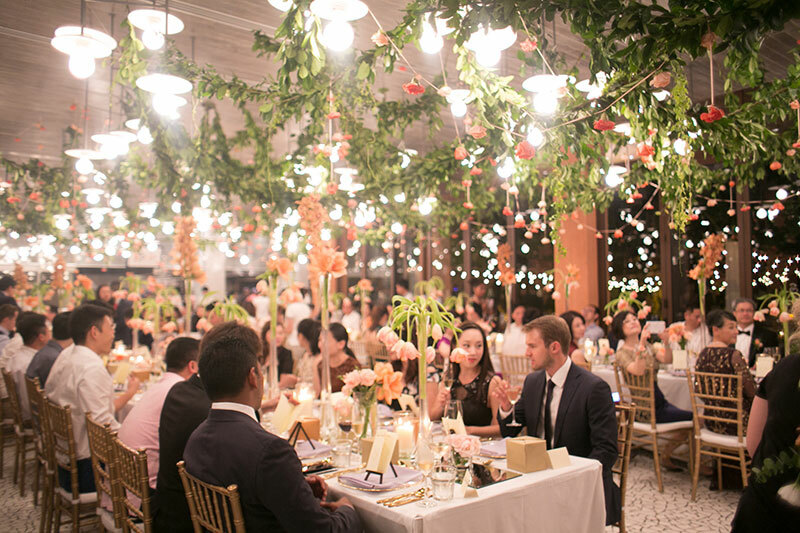 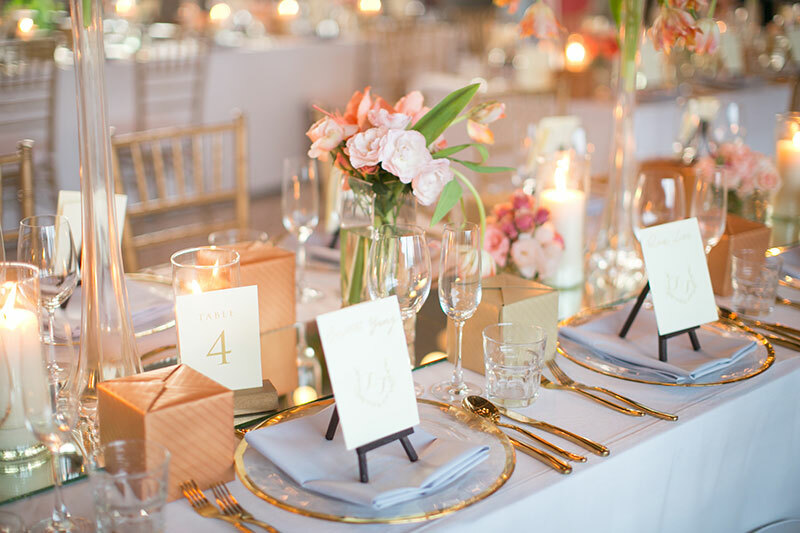 After the ceremony, a gorgeous indoor setup made with coral flowers greeted guests as they moved to the reception room. 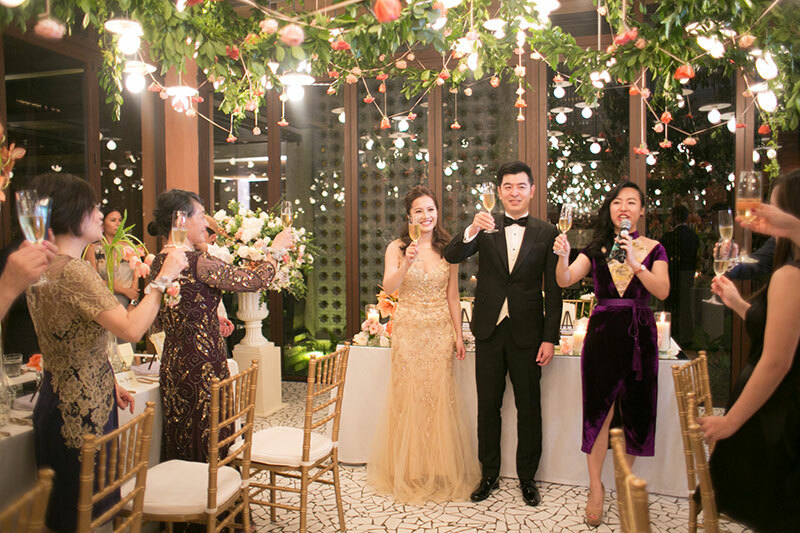 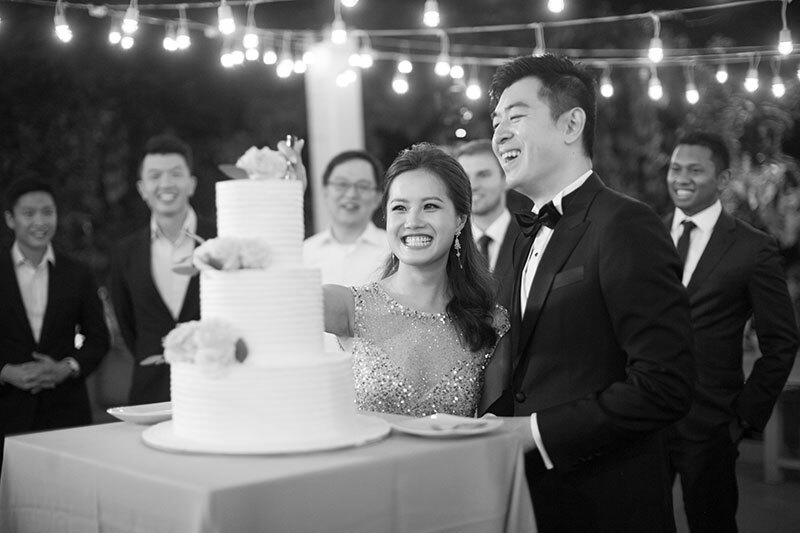 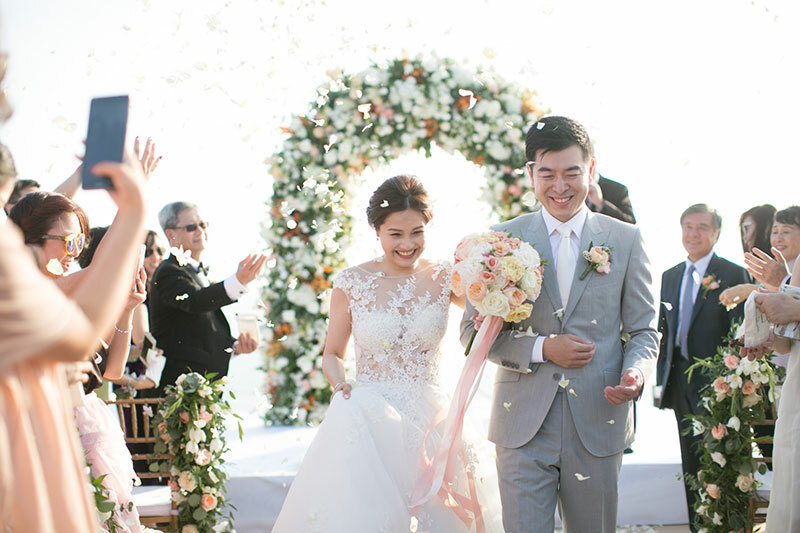 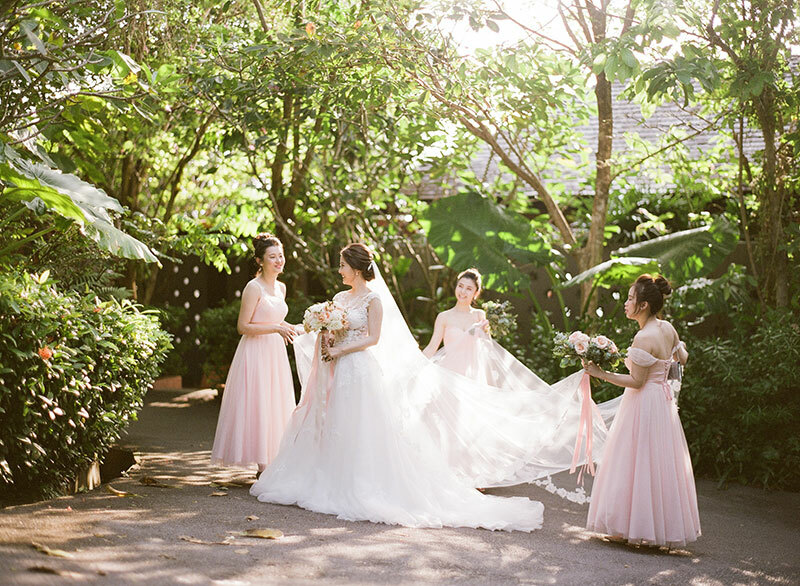 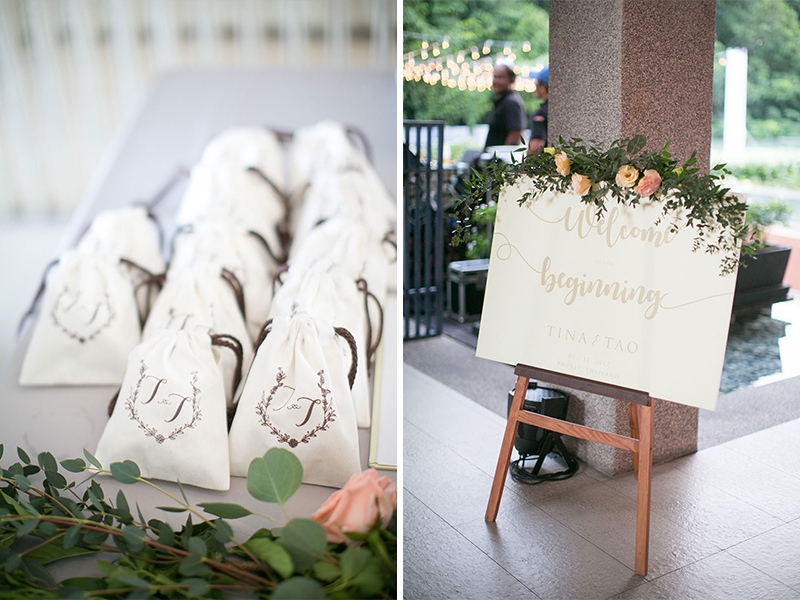 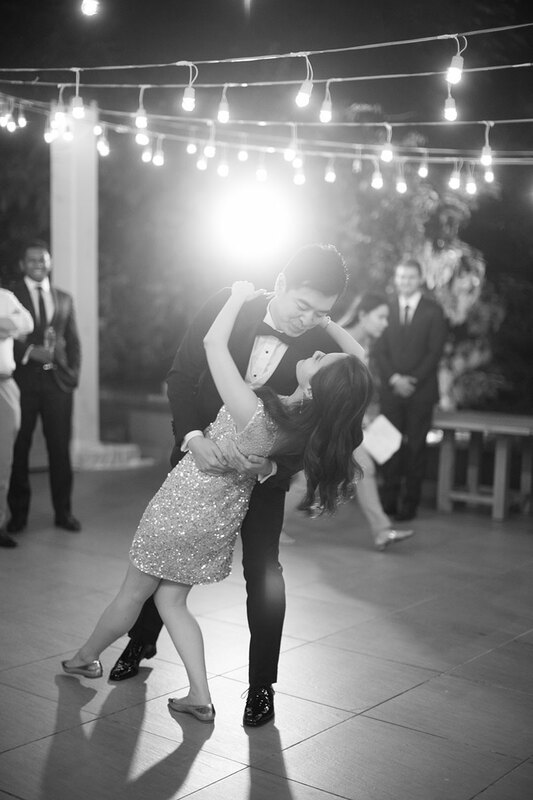 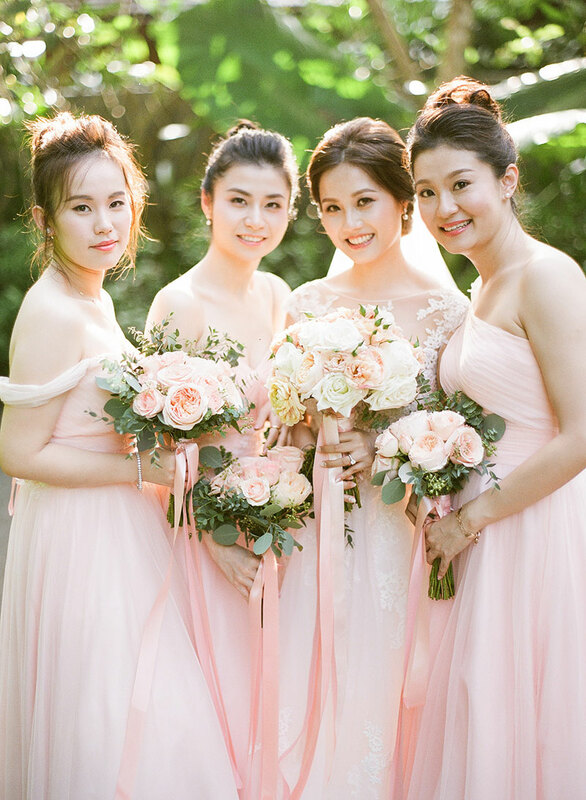 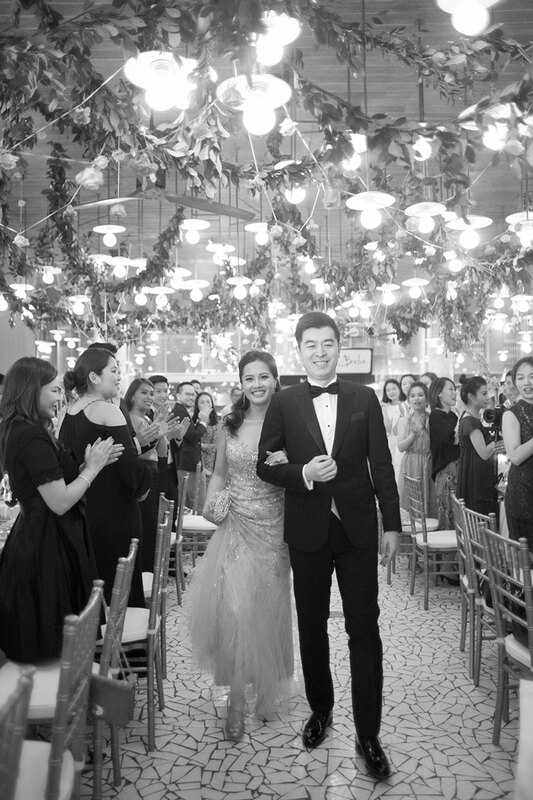 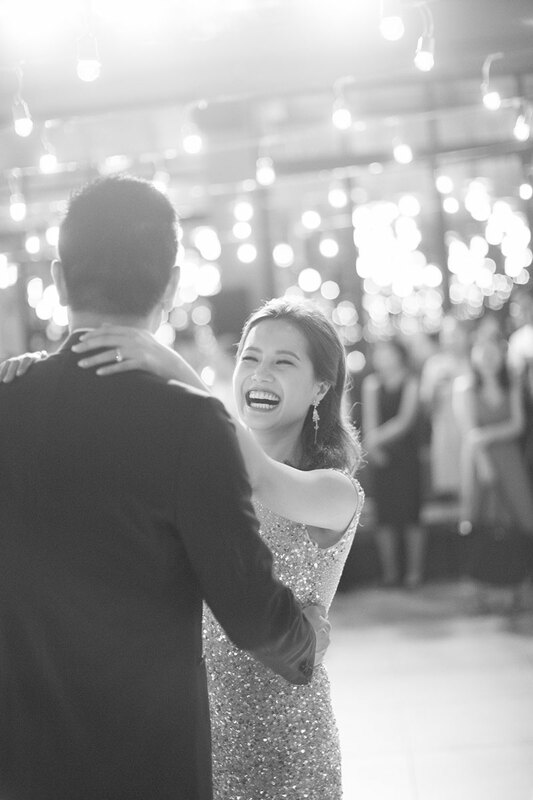 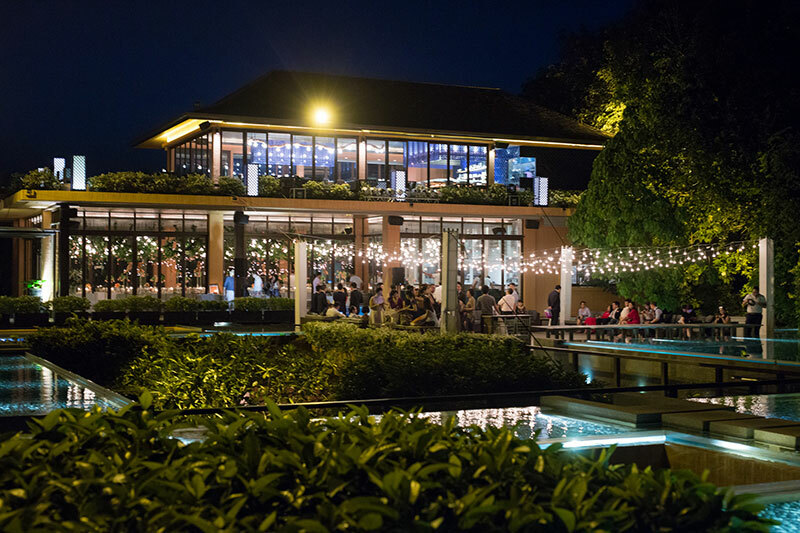 Everything was picture perfect thanks to IAMFLOWER‘s creativity and the whole wedding unfolded into a magical event with the careful planning and coordination of The Wedding Bliss Thailand. 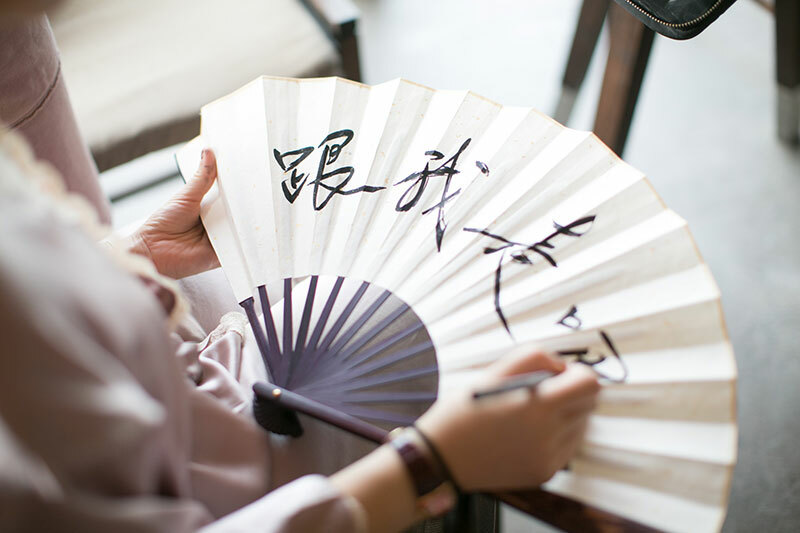 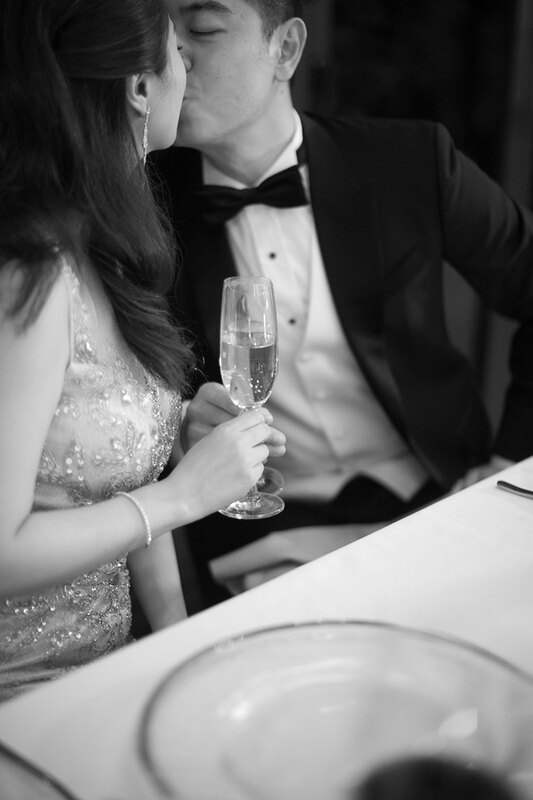 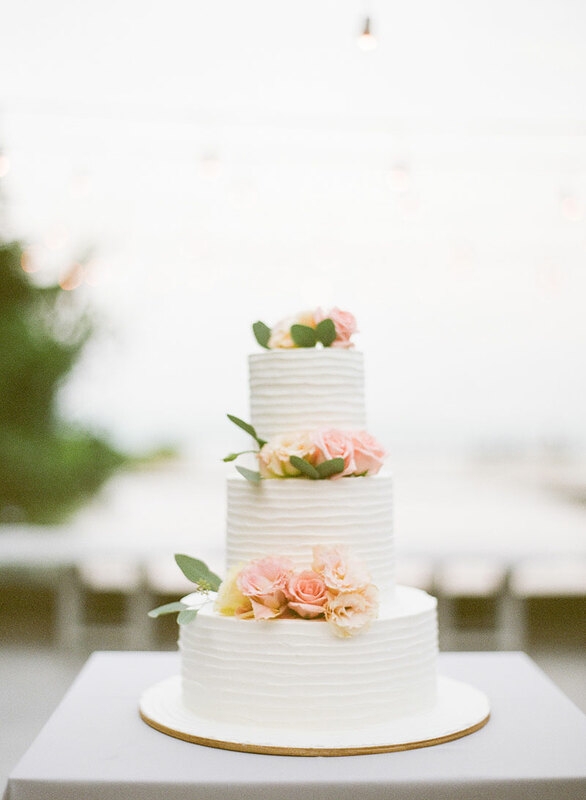 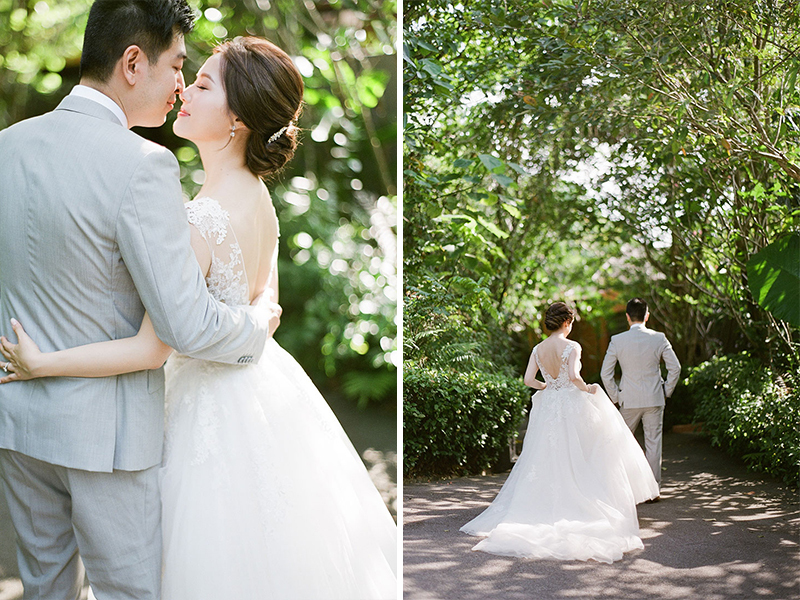 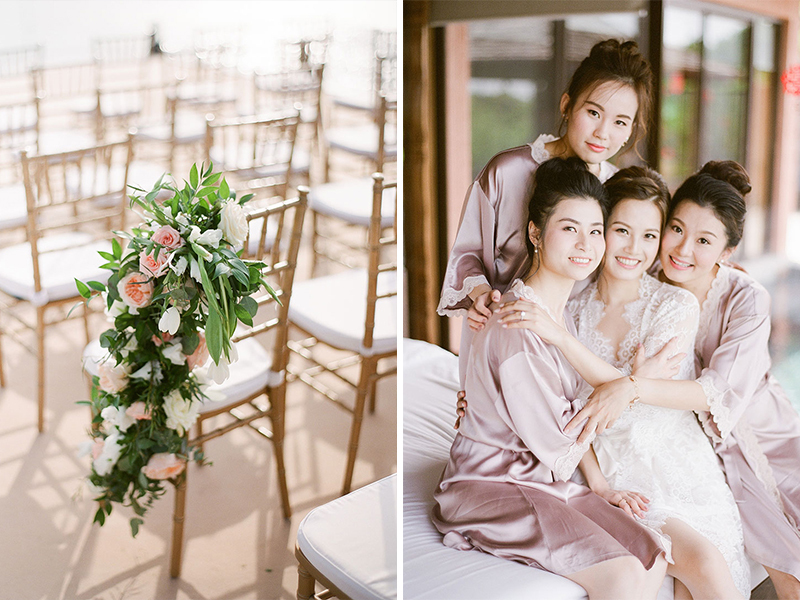 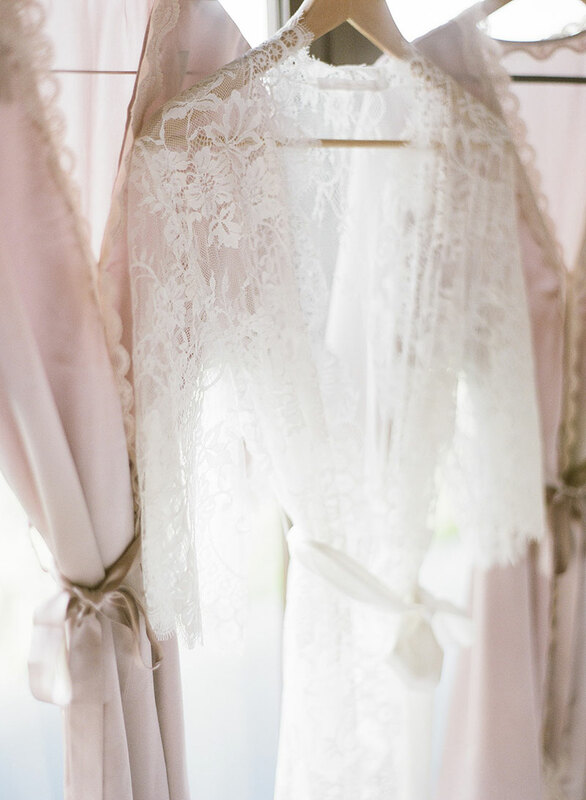 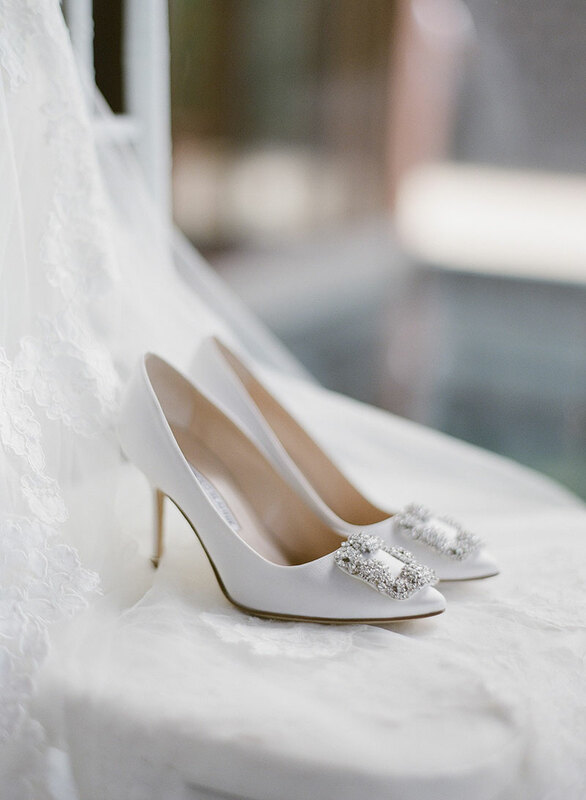 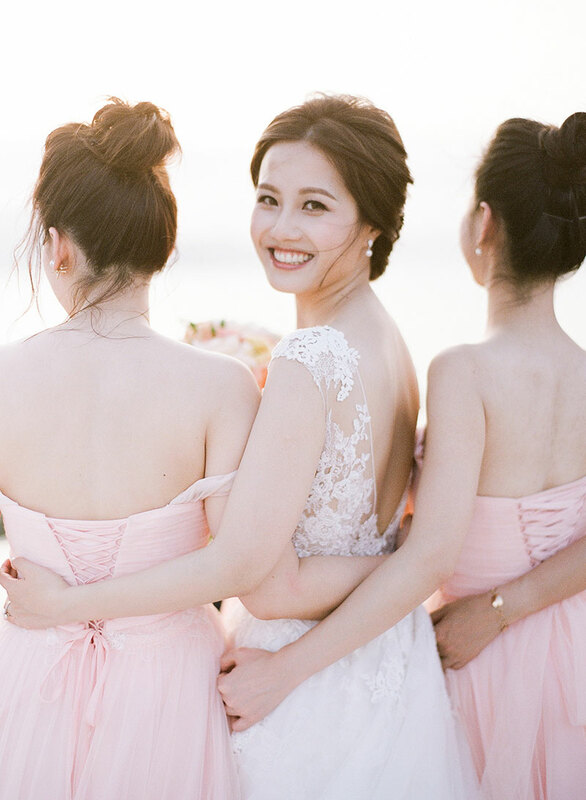 Let’s take a few moments to take in all the beauty this wedding has to offer so we can fully enjoy these photos by Hilary Chan.